With such an esteemed name to live up to, the *Twinpalms Phuket Resort did not fail. Well, the title says it all: luxury, comfort, service, exclusivity, serenity. These five words embody the five-star, one-of-a-kind experience that awaits guests of the Twinpalms Phuket Resort. Here, not only is excellence expected, but also, it’s achieved. 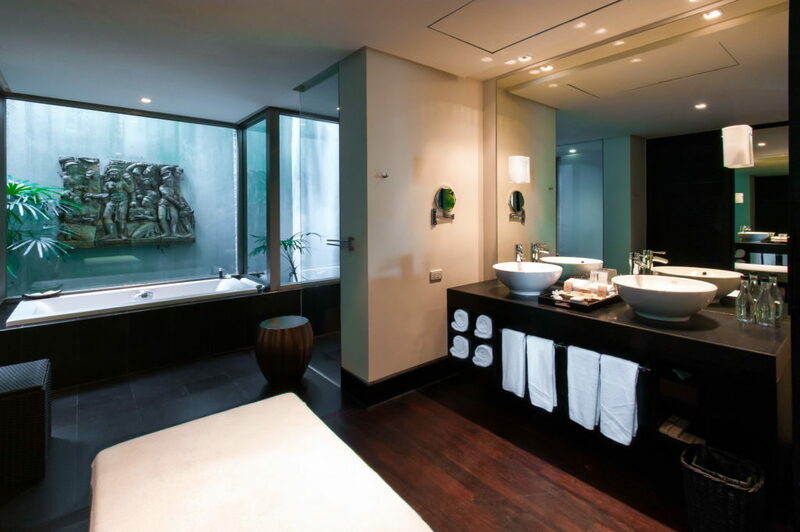 Small Luxury Hotels (SLH) are held to incredibly high standards, and the Twinpalms Phuket Resort is no exception. 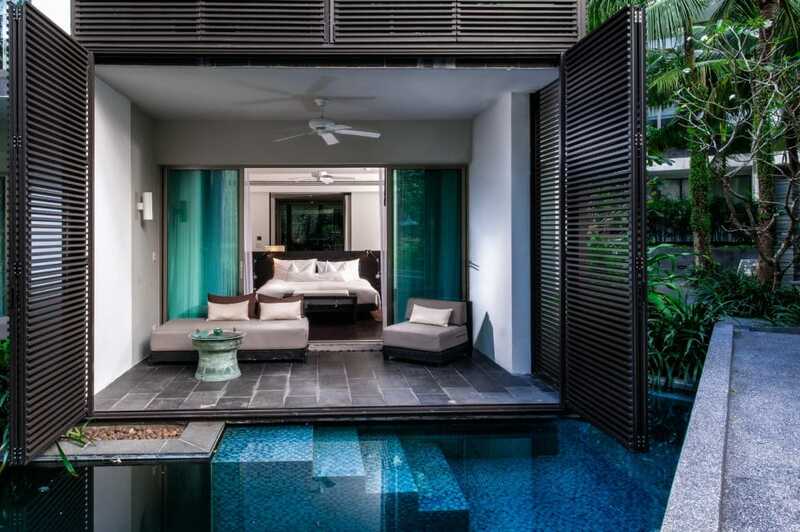 The Twinpalms Phuket Resort exudes tropical tranquility at its finest. Once you enter the confines of this luxurious five-star resort, you may never want to leave. I didn’t. The Twinpalms Phuket Resort’s serene pool, stylish restaurants, and elegant suites will provide you with everything you’ll need during your stay, yet its world-class spa, pristine beach, and yachting charters will cater to the luxury experience you crave. Here, connoisseurs of life’s finer things will find plenty to savor. Foodies will rejoice. Honeymooners will fall in love all over again. Of all the luxury resorts on the island, the Twinpalms Phuket Resort is one of the best. 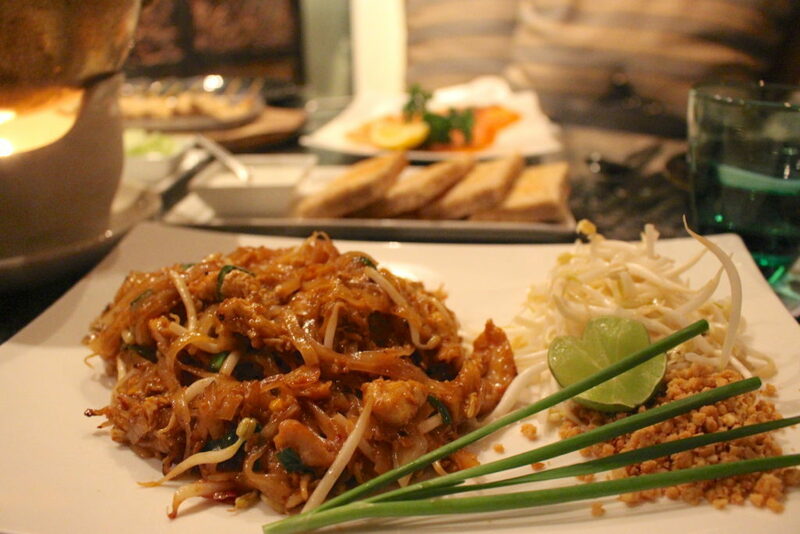 Just 25 minutes from Phuket International Airport, everything changed. We pulled up to the beachfront resort, and found ourselves surrounded by palm trees, fresh ocean air, and contemporary designs. 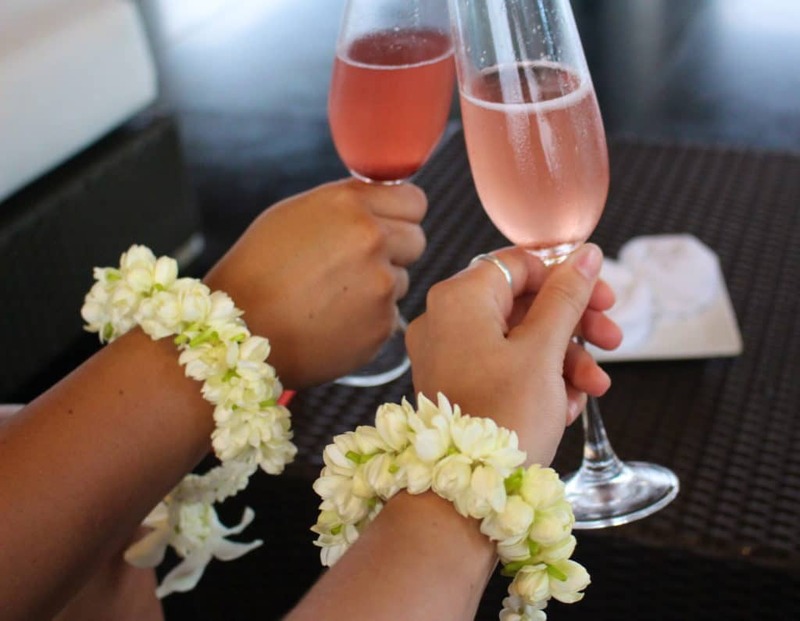 Then, a friendly reception team greeted us with fruit-infused champagne, traditional Thai flower garlands, and cold towels. First impressions really are everything. From that moment, I knew that our stay would be flawless; our stay would include everything that an SLH entails, and much more. The Twinpalms took up prime real estate on one of Phuket’s most beautiful beaches: Surin Beach. During our stay, we basked in the sun, wiggled our toes in the soft sand, and witnessed one of the most beautiful sunsets the world has ever seen. Thailand is known worldwide for its spectacular sunsets. 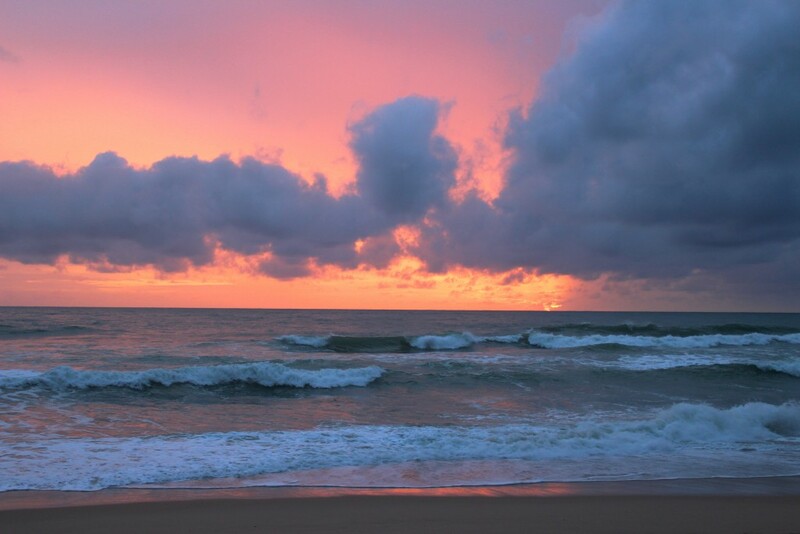 Luckily, the resort’s location on the west coast is perfect for watching the Thai sky light up with color. What could be more enticing than a luxury guest room that opens up onto a private patio, connected to a turquoise lagoon pool, surrounded by lush greenery? Nothing. I wish I were still waking up to that view. Inside our Deluxe Lagoon Pool Room, the Twinpalms afforded us all of the luxuries of a five-star resort, and so much more. A comfy bed, an incredible view, a giant walk-in shower, and a beautiful soaking tub were just the beginning. A private tropical garden surrounded our soaking tub. Our outdoor patio allowed us to dip our toes in the pool while having a glass of chilled white wine. Our closet was stocked with beach bags, beach towels, and tee shirts, just in case we felt like hanging out at the beach. It was love at first sight. And the more time I spent in our guest room, the more I fell in love. The Twinpalms is foodie heaven, so naturally, I loved every second of it. Each and every dish we tasted at the Twinpalms was absolute perfection. Thai food, Western food, appetizers, breakfast; it didn’t matter what it was. Everything was delicious. Quite honestly, our dinner at the resort’s Oriental Spoon restaurant was the best meal I’ve eaten in all of Thailand. And maybe even in all of Asia. I know, that seems like high praise, but as it turns out, delicious food, combined with good wine and top-notch service, makes for an unforgettable dining experience. Not only did the Twinpalms Phuket Resort live up to SLH standards, but also, it proved worthy of its self-proclaimed title: “Phuket’s most exciting and stylish contemporary resort”. Staying at the Twinpalms Phuket Resort was the luxury experience of a lifetime, yet I’m hoping to do it over and over and over again. Simply stated: there’s no place like the Twinpalms Phuket Resort. 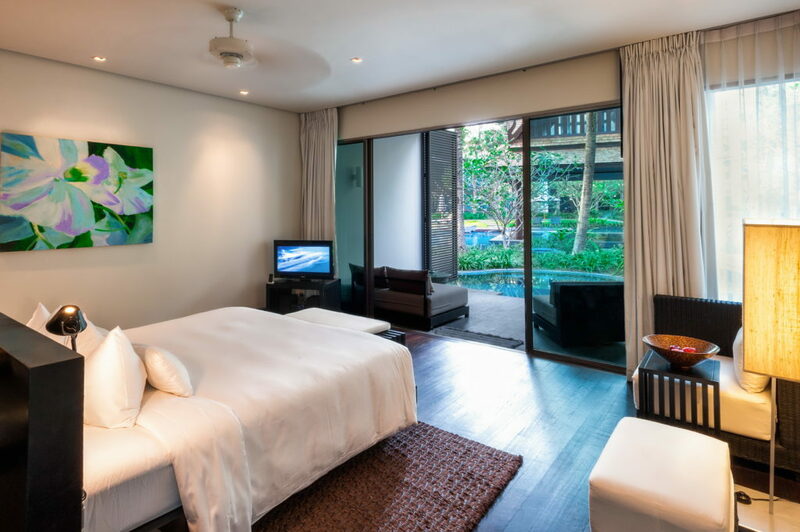 You can book your stay at the Twinpalms Phuket Resort here. The Travel Alphas were graciously welcomed as guests of the Twinpalms Phuket Resort, but as always, all opinions and experiences are entirely our own. Do it! I LOVE this place. You will too! Service paired with good food and wine can definitely make for a memorable dining experience! Your meal looked delicious and that garden surrounding your pool sounds amazing! What a beautiful hotel, looks like you guys had an excellent time! It was such a good time…this hotel is in my top 5 favorites for sure! Wow this place looks seriously spectacular! Love Thailand! Oh my gosh, this looks like an actual dream! Will have to keep this place in mind. That sunset is gorgeous! Yet another amazing hotel to add to my list (for waaay off in the future when I can afford it haha). Hi Nora! We totally agree… Phuket is a wonderful place. We’ve heard that Sri Lanka is a gorgeous country; we’d love to visit someday. Thanks for stopping by! It is a wonderful place! We loved Phuket! Thanks for stopping by. in Bali you also can have an equally beautiful holiday experience.